It’s celebration time! 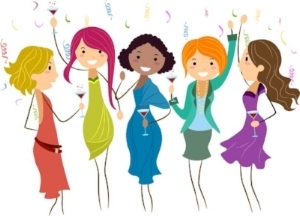 Please come to our spring soiree for FREE drinks and appetizers and to mingle with the girls. This night we will say farewell and thank you to the current 2017-2018 board and meet the new 2018-2019 board! All members are welcome and sure to have a fabulous time. DGAN will provide members with apps (pizza!) and two free wine/drink tickets with your RSVP on MemberPlanet.